The Federalist Society for Law and Public Policy Studies is a group of conservatives and libertarians interested in the current state of the legal order. Panel 2: Is Economic Protectionism a Legitimate State Interest? This audio broadcast series provides commentary by authors and others on important new books and works of legal scholarship. As always, the Federalist Society takes no position on particular legal or public policy issues; all expressions of opinion are those of the speaker. We hope these broadcasts, like all of our programming, will ... See More serve to stimulate discussion and further exchange on the topics they address. The Federalist Society for Law and Public Policy Studies is a group of conservatives and libertarians interested in the current state of the legal order. It is founded on the principles that the state exists to preserve freedom, that the separation of governmental powers is central to our Constitution, and that it is emphatically the ... See More province and duty of the judiciary to say what the law is, not what it should be. 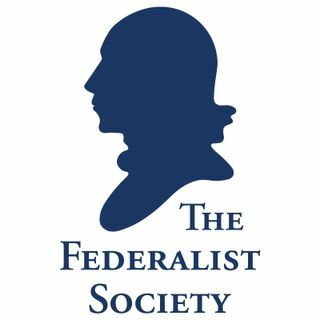 This podcast feed contains audio files of Federalist Society panel discussions, debates, addresses, and other events related to law and public policy. Additional audio and video can be found at https://fedsoc.org/commentary. Necessary & Proper is the official podcast of the Federalist Society's Article I Initiative. The Framers of the Constitution intended the legislature to be the most powerful branch of government. In its present state, as the government operates on a day to day basis, it is not. Were the Founders simply wrong about the inherent ... See More powers of the legislative branch? Has the institution of Congress developed practices that are not compatible with the text of the Constitution? Why are current Congressional leaders unable or unwilling to act as an effective check on the presidency? Why is Congress unable to pass a budget? Why has Congress ceded much of its authority to the executive branch and to administrative agencies? What does it mean to serve productively as a member of the House or Senate? These and other important questions are the focus of the Article I Initiative. Periodic releases from Necessary & Proper will feature experts who can shed light on what the Framers envisioned for the legislative branch and how it can be restored to its proper place in the constitutional order. The Regulatory Transparency Project promotes a national conversation about the benefits and costs of federal, state, and local regulatory policies and explores possible improvements. On RTP’s Free Lunch Podcast, leading experts debate the pros and cons of government regulations and explain how they affect everyday life for Americans. This series of podcasts features experts who analyze the latest developments in the legal and policy world. The podcasts are in the form of monologues, podcast debates or panel discussions and vary in length. The Federalist Society takes no position on particular legal or public policy issues; all expressions of opinion are those of the ... See More speakers. We hope these broadcasts, like all of our programming, will serve to stimulate discussion and further exchange regarding important current legal issues.